Are you looking for a wedding coordinator or an all-in-one wedding planning company? Look no more. The wedding doctor is your go to. The glowing reviews they have received from past brides tell the story of their prowess. With over 20 years of wedding planning experience, they can provide you references for your wedding dream team from caterers to decorators and work with them to deliver you the wedding that you and your guests will never forget. Bliss Events is a certified event planning and design group based in Boise, Idaho. After planning hundreds of weddings in Boise, Bliss events know what it takes to deliver a blissful experience for you and your spouse. From vendor coordination to flawless décor, their professional team will take care of all the details on your checklist to make sure it proceeds smoothly. They have developed strong working relationships with local vendors so they can find you the dream team to make your party a success. No matter your budget, you deserve to have the wedding of your dreams. 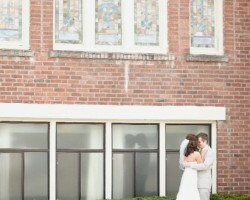 Sprout design, one of the best Boise wedding planners can make this happen for you. The owner, Samantha Gray is passionate and very knowledgeable about the industry. She is detail oriented, organized and dedicated to make sure that the bride and groom have zero stress as they plan their wedding. Sprout Design creates uniquely tailored events, offering a variety of packages to keep you on budget. Being a do-it-yourself bride is impressive but since you only get married once, you cannot possibly know everything about wedding planning. That is the job of a wedding organizer. 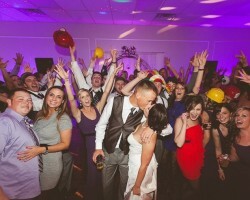 Alison is a top wedding planner in Boise, ID. In preparation for her wedding, she tried to handle everything but in spite of her skills; she needed an experienced wedding planner in her corner. Her goal now as the owner of The Innovative Bride is to be in your corner as you plan your wedding.